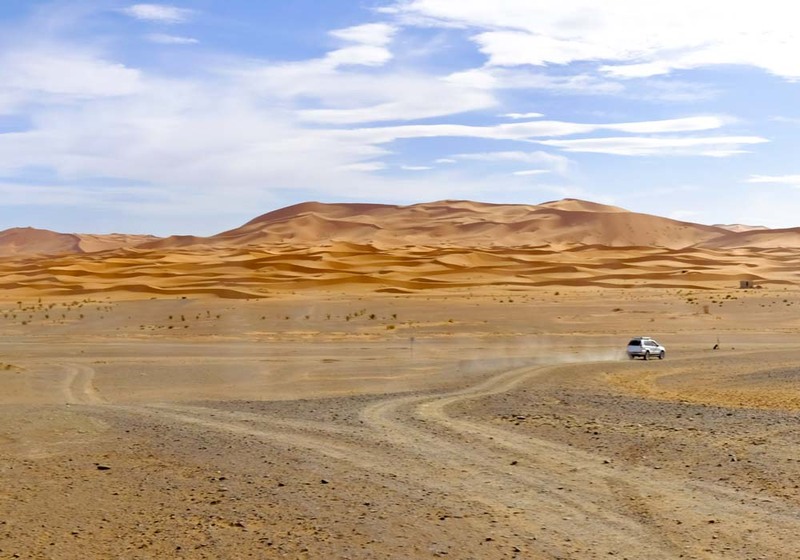 This desert town in the south-east of Morocco has the blocky, terracotta coloured buildings so common in this part of the world, and borders one of the world’s most spectacular landscapes. 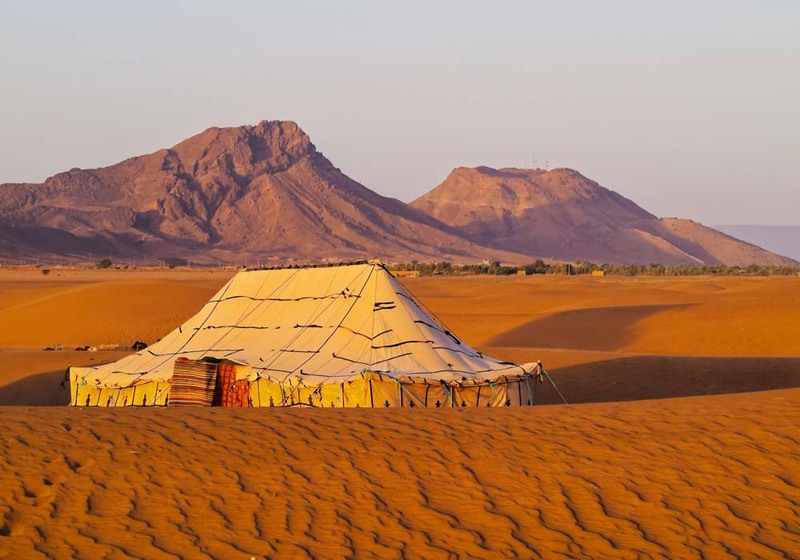 Merzouga lies on the edge of Erg Chebbi, a monumental series of sand dunes that reach heights of 160 metres, larger than many of the skyscrapers in London’s business district. 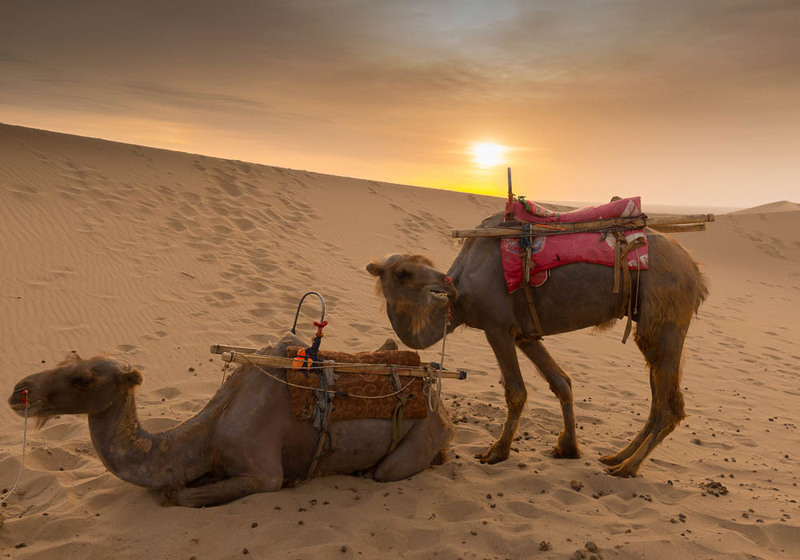 It’s an amazing sight, especially as the dunes change colour in the setting sun from shades of gold to orange, pink and purple. 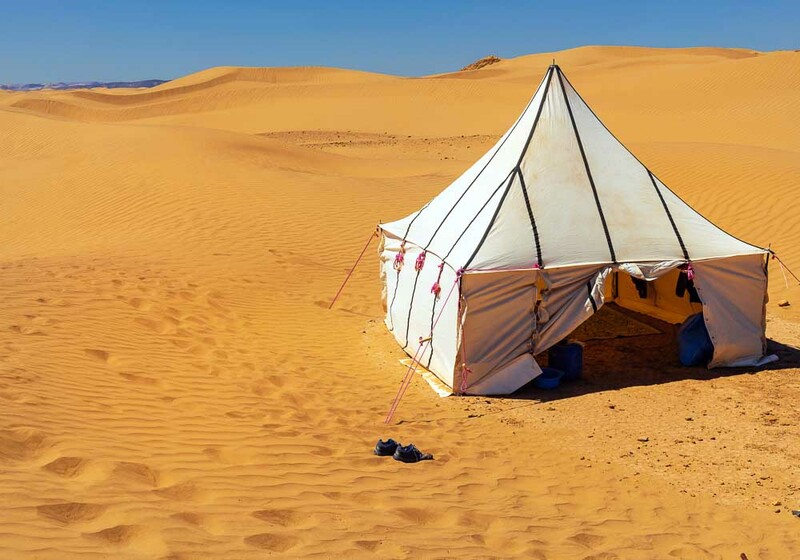 When you come here you'll be immersing yourself in Saharan Morocco, a place unlike any other. 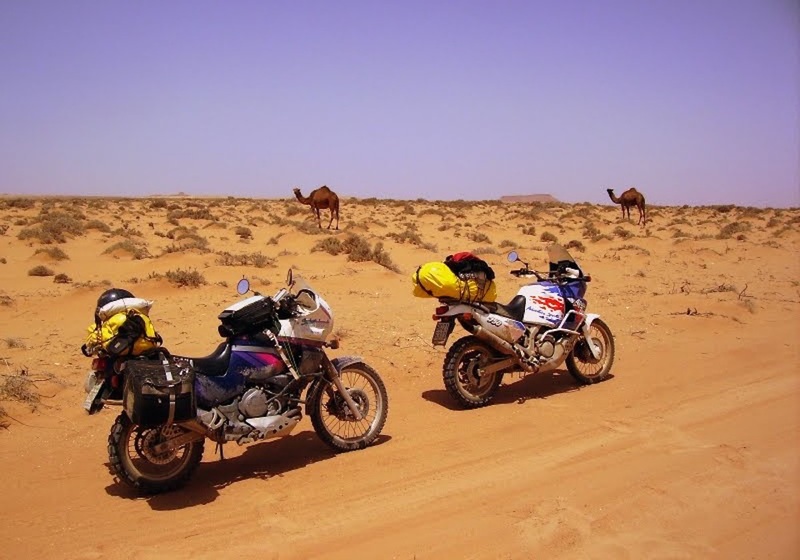 Merzouga is an ideal example of what many people envisage when they plan their Moroccan motorcycling trip. 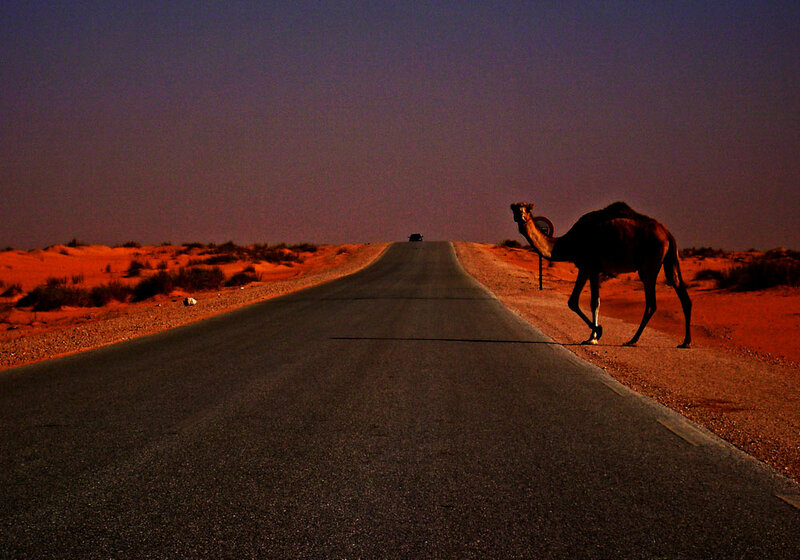 When you ride out this far south you’ll discover an untouched Morocco, away from major development and tourist traps. 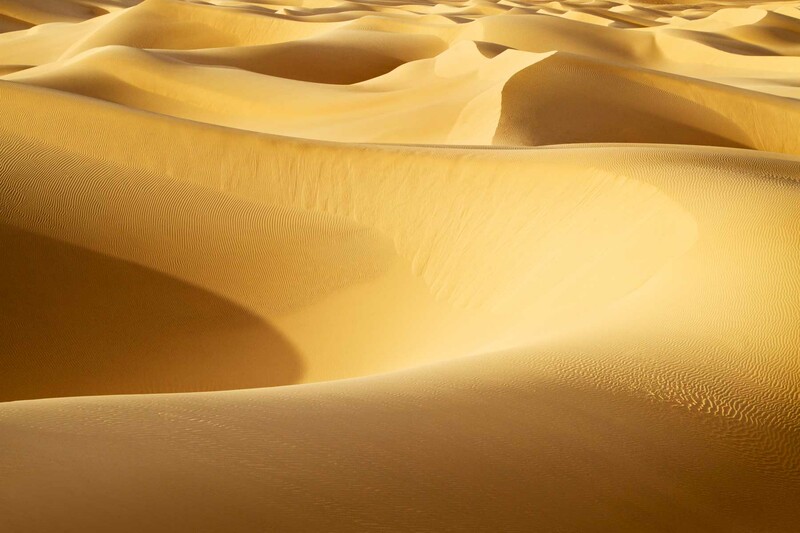 It’s in this part of the world that you can ride out to Erg Chebbi – the series of giant dunes that constantly shift and change. 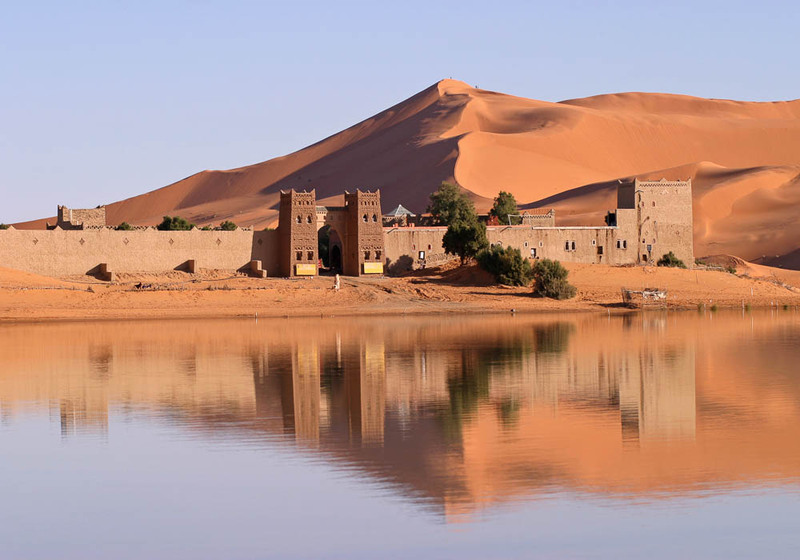 Also nearby is Lake Dayet Srji, a large body of salt water to the west of Merzouga that attracts all sorts of wildlife in the springtime including flamingos and Arabian buzzards. 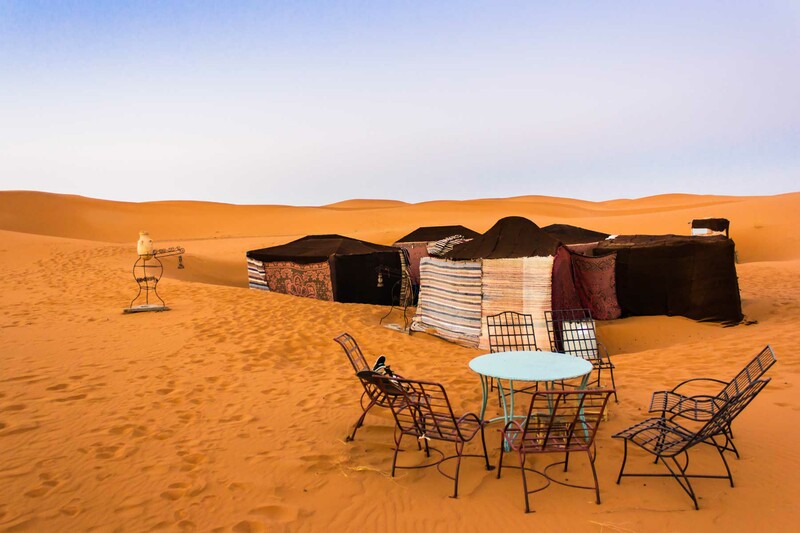 There are dozens of places to stay in and around Merzouga, ranging from functional hostels to opulent palaces and kasbahs that date back to the times of Berber princes. 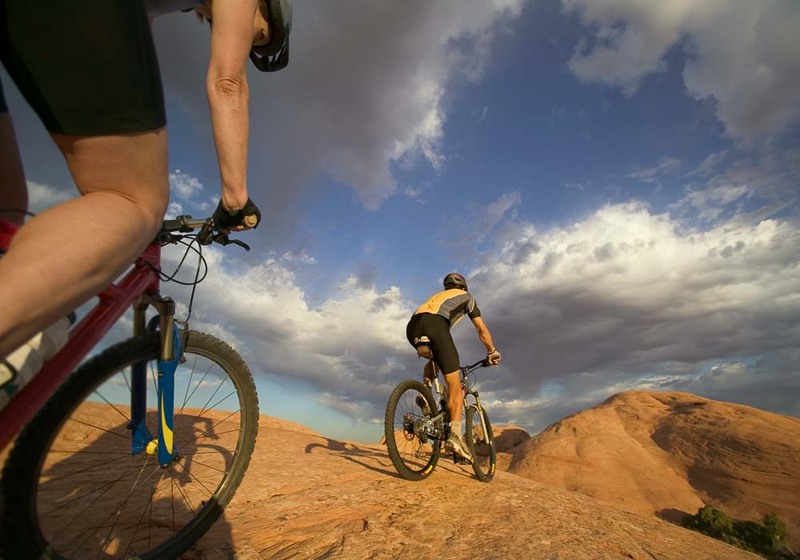 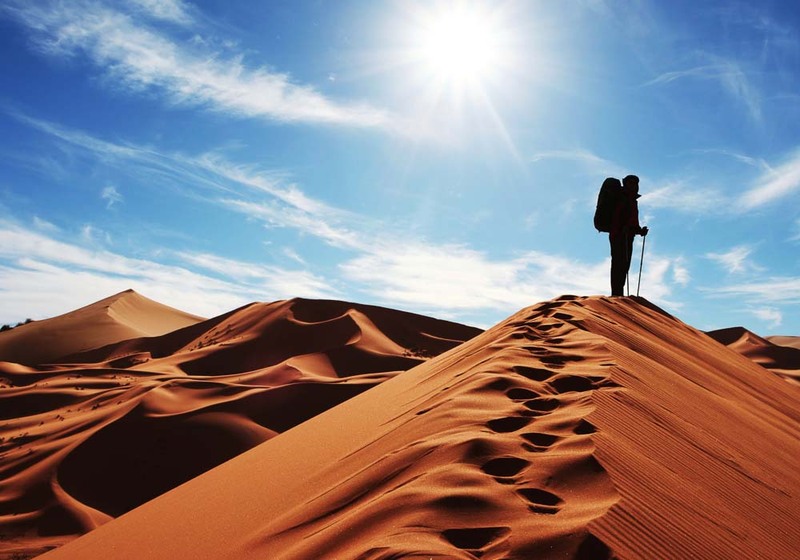 Most places provide food and drink and will arrange desert treks and other tours for you as part of the service. 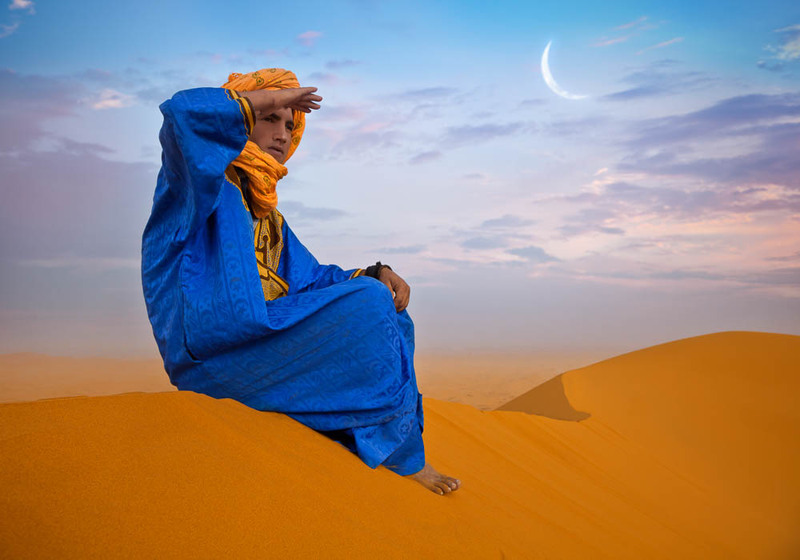 Merzouga is tucked in the south-east corner of Morocco and can only be reached by road. 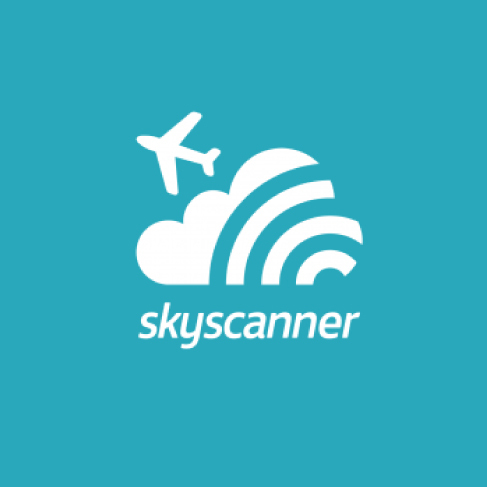 People coming from abroad usually fly directly to Marrakech and drive from there, or fly into Casablanca or Agadir and then take an internal flight to Ouarzazate. 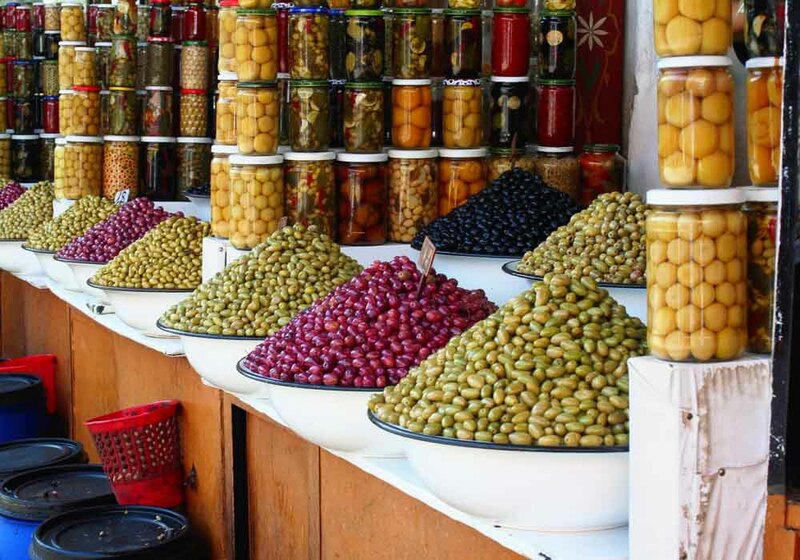 The drive from Marrakech is about 350 miles, while Ouarzazate is 230 miles, so it's a good idea to split the journey over two days and see a different part of Morocco on the way.